The full name of the day commemorating the victims of the Holocaust is “Yom Hashoah Ve-Hagevurah”, literally the “Day of (remembrance of) the Holocaust and the Heroism.” It is marked on the 27th day in the month of Nisan, a week after the seventh day of Passover, and a week before Yom HaZikaron (Memorial Day for Israel’s fallen soldiers). In the early 1950s, education about the Holocaust emphasized the suffering inflicted on millions of European Jews by the Nazis. Surveys conducted in the late 1950s indicated that young Israelis did not sympathize with the victims of the Holocaust, since they believed that European Jews were “led like sheep for slaughter.” The Israeli educational curriculum began to shift the emphasis to documenting how Jews resisted their Nazi tormentors through “passive resistance”, retaining their human dignity in the most unbearable conditions, and by “active resistance,” fighting the Nazis in the ghettos and joining underground partisans who fought the Third Reich in its occupied countries. Jews in North America observe Yom Hashoah within the synagogue as well as in the broader Jewish community. Commemorations range from synagogue services to communal vigils and educational programs. A few congregations find it more practical to hold commemorative ceremonies on the closest Sunday to Yom Hashoah. 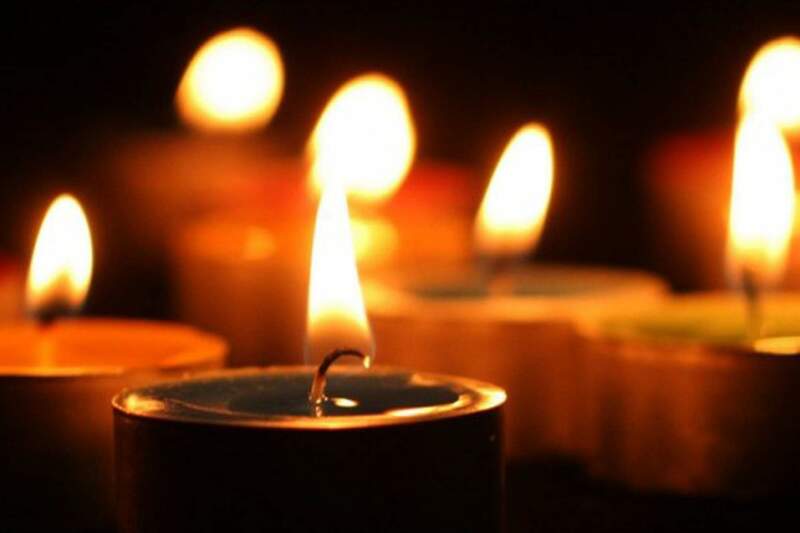 Many Yom Hashoah programs feature a talk by a Holocaust survivor, recitation of appropriate songs and readings, or viewing of a Holocaust-themed film. Some communities choose to emphasize the depth of loss that Jews experienced in the Holocaust by reading the names of Holocaust victims one after another, dramatizing the unfathomable notion of six million deaths. Many Jewish schools also hold Holocaust-related educational programs on or near Yom Hashoah. There have been numerous attempts to compose special liturgy (text and music) for Yom Hashoah. In 1988 the Reform movement published Six Days of Destruction. This book, co-authored by Elie Wiesel and Rabbi Albert Friedlander, was meant to be viewed as a “sixth scroll,” a modern addition to the five scrolls that are read on specific holidays. Six narratives from Holocaust survivors are juxtaposed to the six days of creation found in Genesis. While Yom Hashoah rituals are still in flux there is no question that this day holds great meaning for Jews worldwide. The overwhelming theme that runs through all observances is the importance of remembering–recalling the victims of this catastrophe, and insuring that such a tragedy never happen again. The Shoah (Holocaust) posed an enormous challenge to Judaism and raised many questions: Can one be a believing Jew after the Holocaust? Where was God? How can one have faith in humanity? Facing this recent event in history, does it really matter if one practices Judaism? Jewish theologians and laity have struggled with these questions for decades. The very fact that Jews still identify Jewishly, practice their religion, and have embraced the observance of Yom Hashoah answers some of the questions raised by the Holocaust.